Who says you can't have cake for breakfast? 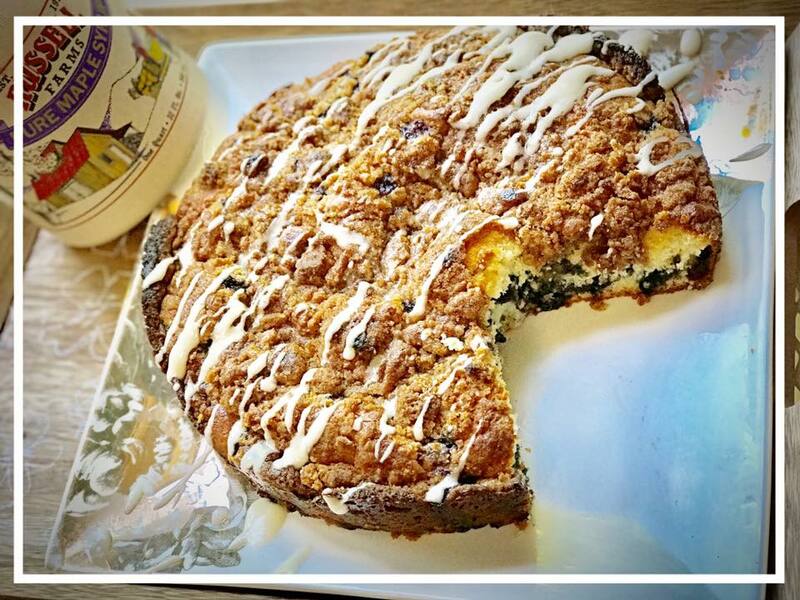 This recipe for blueberry muffin cake has a delicious maple cream cheese glaze that you'll want to eat right out of the bowl! Give it a try with your favorite Russell Farms maple syrup. Click the image to see the full recipe. 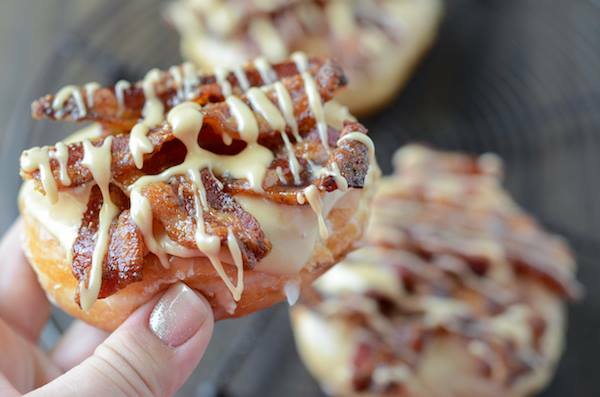 You need only 2 tablespoons of our Pure Maple Syrup to make these sinful Candied Maple Bacon Donuts! Try a sweet take on your favorite salty treat with Maple Popcorn. Melt 1 Tbsp Butter in a saucepan. Mix in 3 Tbsp Russell Farms Pure Maple Syrup. Wait for syrup to be heated. Pour over popcorn and toss.